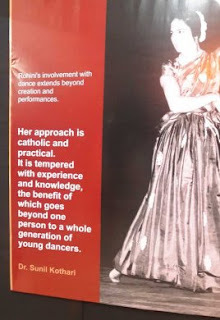 I clearly remember Rohini Bhate and I sitting together at the historic All India Dance Seminar convened by Sangeet Natak Akademi from 31st March till 7th April 1958, at Vigyan Bhavan in New Delhi. 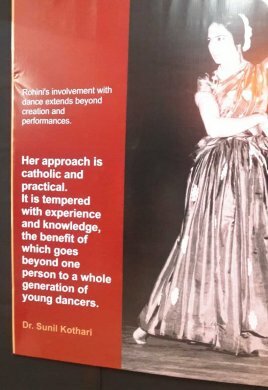 I was an up and coming dance scholar and was deeply involved in dance, having learnt a little Kathak at Deodhar’s classes of music and dance near Opera House, Mumbai. Later on, I studied Bharatanatyam under Guru Kalyanasundaram Pillai at Raja Rajeswari Bharata Natya Kala Mandir at Matunga. Rohini and I used to meet in Mumbai when she was staying near Wilson School at Girgam. She used to visit Mumbai regularly from Pune. My painter friend Prabha Vithal had given me autobiography Mazi Nrita Sadhana written by Rohini in Marathi. It was a fascinating account of her discovery of and deep interest in dance. She was trained in classical Hindustani vocal music and used to sing for All India Radio, which I remember having listened to. I was much impressed by her multiple talents. As a Kathak dancer her training had led her to study the theory also. She had translated Abhinaya Darpana and Isadora Duncan’s biography. Her deep interest in aesthetics and literature were praiseworthy.